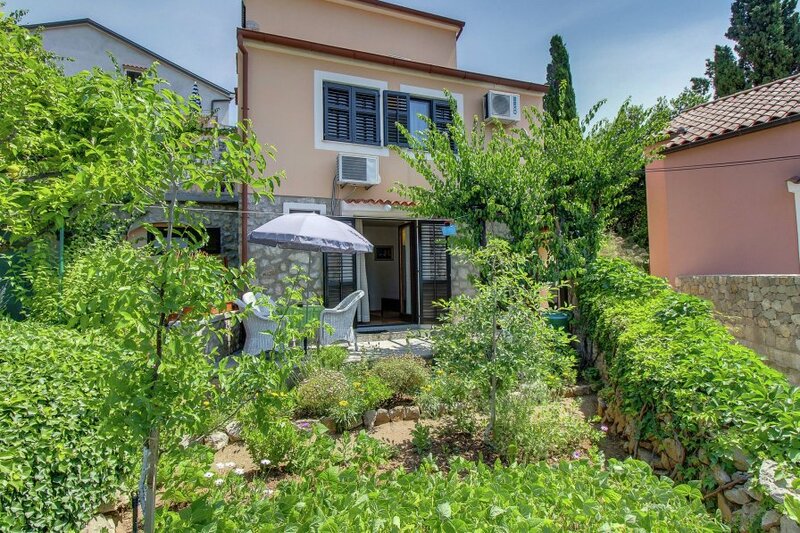 This well maintained apartment is located on the first floor, just 600 meters from the beach and 400 meters from the beautiful center of Mali Losinj. On the ground floor is the home of the friendly owner. You have a shared terrace with seating and a barbecue. Lovely to "cozy evenings to dine after! You live high above Mali Losinj, downhill through the narrow streets and alleys, walk quickly to the quaint downtown. Indoors, the device is particularly attractive, making yourself feel at home in no time! Mali Losinj was founded in the 6th century and for centuries belonged to Venice. In the bustling little center will have a wide range of theatrical performances, exhibitions, concerts and other events. But you can also enjoy a refreshing drink and a delicious meal as well the views over the town and the sea on one of the many terraces on the haven.Het famous beach is that of Losinj Cikat Bay (approximately 2 km) southwest of Mali Losinj. It is 30 km long and popular for water sports and to create a cycling or hiking in the appropriate paths.